Greg, I fixed the URLs of the install photos, so you should be able to see the photos now. Sorry for the delayed reply. I went looking for a switch but it seems that they are not readily available. 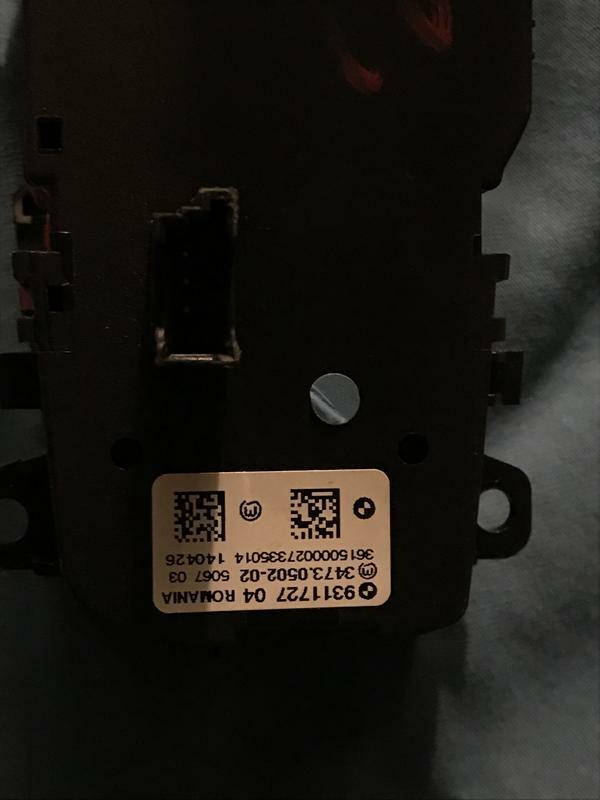 Does anyone know where I can get the current Euro switch to work with my 2015? I took the place holder cover off where the rear fog switch would be and noticed that the circuit board is there and the little buttons contacts. I could probably make this work if I had the white plastic button extension that pushes on the contacts. This seems to be the "free mod" to turning on these rear fogs in general. I have installed the dipswitch control with the button of tail fog lights. I tried to code function of inclusion of tail fog lights by means of BimmerCode, but at me it has not turned out. Someone can prompt to me with coding. Your photo shows the turn indicators illuminated in the rear bumper, not the rear-fog LEDs. My i3 does the same with the rear-fog switch activated, so I'm guessing we used similar codes. 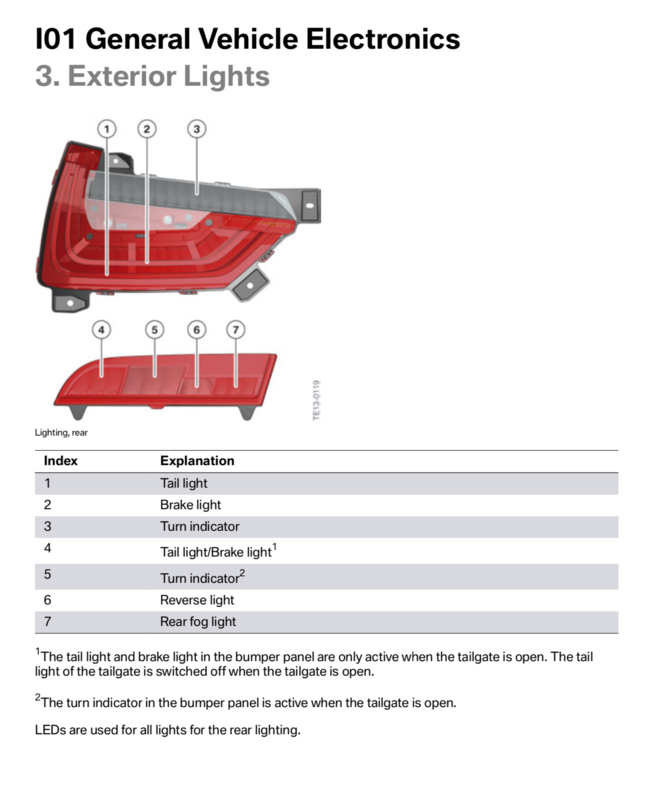 Here's a BMW diagram of the left rear lights in an i3 exterior, along with their functions. The turn indicator is 5, while the rear fog is 7. What we have is OK, but I would like to figure out how to activate just the rear fog (7) with the switch, as BMW intended. While 5 is bright, those LEDs appear to be part of a dynamic braking system, which activates additional rear lights with hard stops. I'm curious to what extent setting 5 as rear fogs affect activation of additional lighting under hard braking. Eventually, I’ll test the current set up with hard braking and report results. 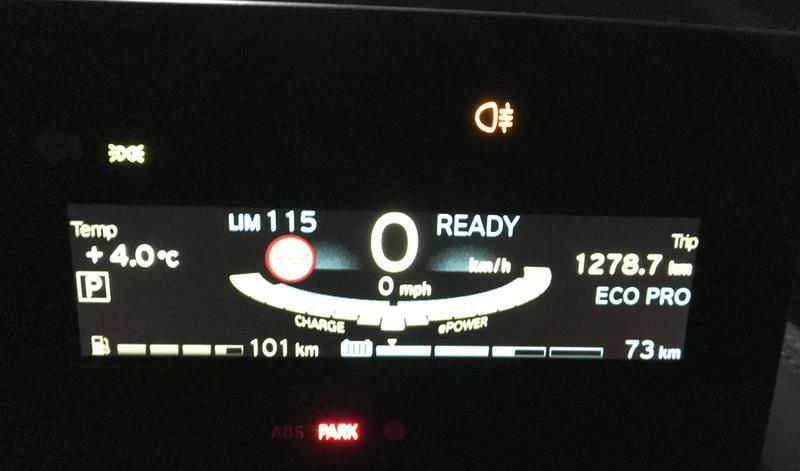 Again, there's probably a compelling reason why BMW created a discrete rear-fog LED (7) in the i3. And for North American i3 drivers, see this well-illustrated, how-to guide for making the blank button active in a headlight switch similar to the i3's. If your X-acto knife and BimmerCode skills are robust, this seems like an inexpensive way to activate the rear-fog (minus the illuminated symbol). I tried the exacto method and while I can push the button in further now, it doesn't seem to have a return spring to release it so I have to pry it back out. I expect that coding this can't be done with Bimmercode? E-sys? PBNB wrote: I expect that coding this can't be done with Bimmercode? E-sys? 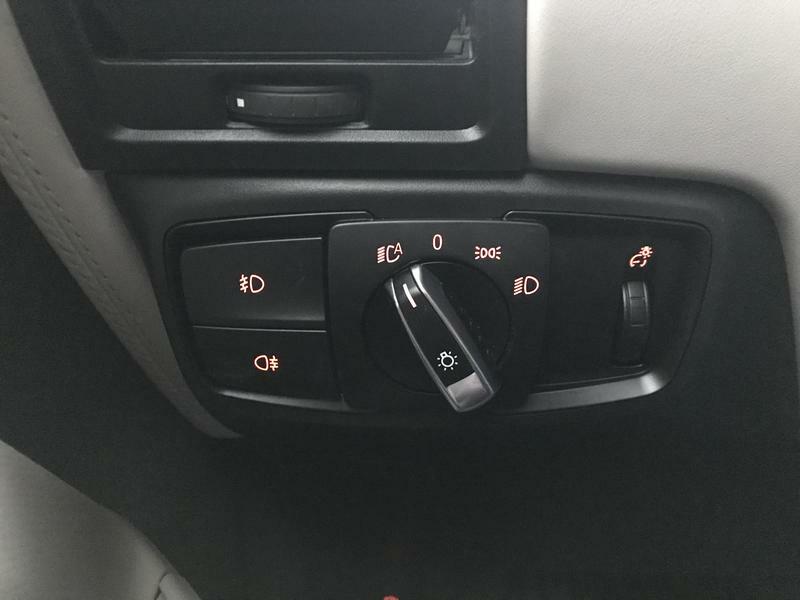 Either software will work to activate the rear-fog settings, but in addition you'll need some kind of mechanical BMW light switch to turn the lights on/off. PBNB wrote: I tried the exacto method and while I can push the button in further now, it doesn't seem to have a return spring to release it so I have to pry it back out. Your plight inspired me to take apart the light switch installed on my i3 at the factory, and it doesn't appear that the blank buttons will activate the rear-fog light. Webster, I see the same thing. The little contacts are on the circuit board but there is no plastic insert that sits inside the but cover. 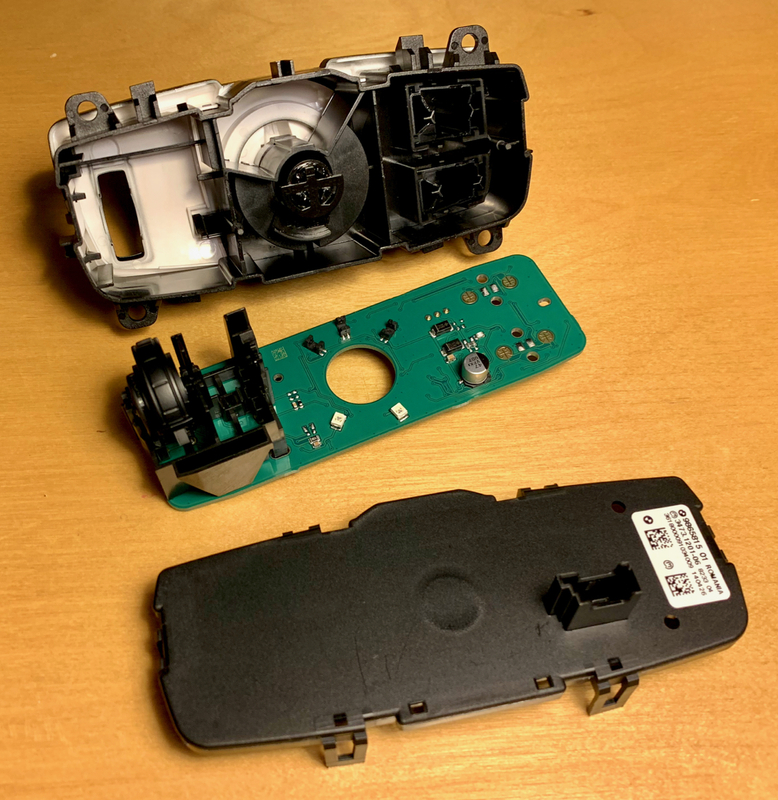 In one of the how to's on the web, this mod was done with another BMW model and when the switch was taken apart, there was a white piece sitting in housing behind the black button cover. If we could locate some of those plastic pieces, this mod would probably work with our switch. I guess the other alternative is to get a switch from Europe with the fog light button. Polot, I noticed the part number on your headlight switch is for an X5. Is that correct, and does it fit correctly. In the pictures, it looks like a good fit. 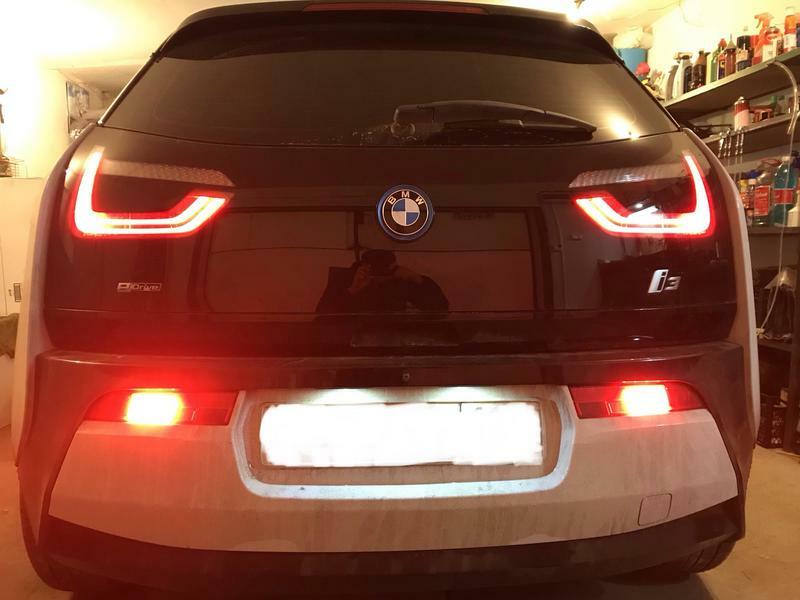 Does your i3 have front fogs as well?